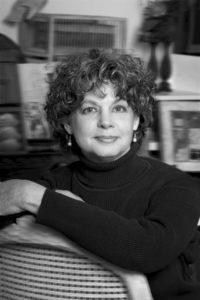 Marianne Lettieri lives in the San Francisco Bay Area where she is a studio artist, curator, and art instructor. She received the 2017 SV Laureate Award for her artistic achievement and contribution to the cultural life of Silicon Valley. She has an MFA in Spatial Arts from San Jose State University and BFA from the University of Florida. Her recent solo exhibitions include the San Francisco Museum of Craft and Design, Monterey Peninsula College, Peninsula Museum of Art in Burlingame, and Doug Adams Gallery at the Badé Archaeology Museum in Berkeley. She is a member of the CIVA board of directors and co-wrote the book Seeing the Unseen: Launching and Managing a Church Gallery with Sandra Bowden. Lettieri creates art with found objects that embody, preserve, and challenge social systems and individual identity. Her work elicits reflection and conversation around how people move through the world and mark time. As physicality becomes increasingly irrelevant to human activities in the digital age, artifacts once central to daily rituals and work routines become imbued with a sense of humanity that forms bridges to imagination. She presents castoff materials in new configurations, reinforcing the interconnectedness of people and communities through time and the shared desire to remember. This workshop will involve making collages and assemblages with multiple quantities of a commonplace item. The process of transforming the ordinary into extraordinary echoes Christian belief in incarnation, redemption, and community. Prior to the workshop, please collect the materials you plan to use and bring them with you. Almost anything has possibilities: things found in nature, mass-produced items, vintage artifacts, stuff you make yourself. Look for visual metaphors that can be joined to make sculptures or wall works. When designing your project, keep in mind the quantity of objects, any transportation or shipping concerns, and the time you will have available to work. The class also includes creative exercises to ignite inspiration and brief discussions of the dynamics connecting art and belief. Students can expect personalized feedback and the opportunity for one-on-one art consultation or portfolio review. On Thursday, the class will visit Meow Wolf’s House of Eternal Return, a unique art experience featuring nonlinear storytelling that unfolds through exploration, discovery, and interactivity. Students will need to cover the $23 cost of admission if attending this field trip. Your registration includes all reading materials for this course, and use of some communal materials. As we draw closer to The Glen dates, you will receive information about what things you might bring. Apply for a scholarship to Marianne Lettieri’s class here.